What does co-creation mean? Co-creation is a new form of supply-chain strategy in which a process is devised collectively by producers with their suppliers, distributors and customers to achieve an outcome of value to all the parties. The Dutch poultry industry occupies a leading place internationally. Production and processing businesses in The Netherlands have been able to maintain their strong position in eggs and poultry meat through entrepreneurship, advanced production systems, high-quality products and excellent logistics for fresh foods. Despite having fewer than 2000 farms in a country of just 41,426 square kilometres (16,485 square miles), The Netherlands is the world’s largest exporter of eggs for consumption and egg products, and the third-largest exporter of chicken meat. Kip van Oranje – Orange Chicken – stimulates and facilitates farm-based innovations in the production of quality poultry products and connects them with new supply-chain strategies based upon a sense of collective responsibility concerning food-production related challenges including animal health and welfare, trade, and environmental and consumer business. Meeting these challenges requires not only new products and production systems, but also a new approach to effective collaboration along the chain from farm to consumer. Together, they contribute to viable and sustainable poultry production by connecting innovative poultry people, companies and brands within one platform. Kip van Oranje is collaborating with VIV Europe and will be introduced in June 2018 at the show in Utrecht, The Netherlands. 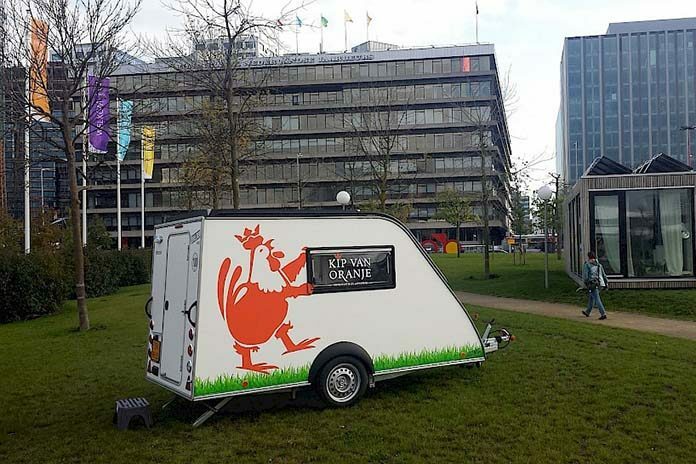 Meet Kip van Oranje, their farmers, their suppliers and data-sharing partners at VIV Europe 2018 and let yourself be inspired by our “Oranje” poultry innovations as well as our approach.